Because they’re planning their own DVS software system – Traktor is a third-party solution for Pioneer, as is Serato. But Pioneer has rekordbox – its own library software. What if an expanded rekordbox could work with more of Pioneer’s gear, and had more rounded DJ software functionality? 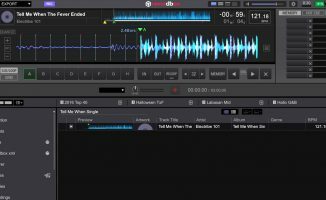 What if you could control Rekordbox from vinyl, DVS style? Is it so far fetched to surmise that a Pioneer software DVS system may be in the making? Because people still play vinyl – It’s true, they do. Pioneer may be looking to simply “tick another box”. After all, it always claimed its DJ solution to be exclusively CD/rekordbox/USB led, then it went and launched a whole range of successful controllers. Why not also offer a fully analogue solution? What do you think? Why is Pioneer looking likely to launch its own turntable? Do you think it will be a success? Share your thoughts in the comments. I do not believe #3 above at all. I do not think Pioneer has any plans on developing software. They would buy Serato, if that was the case. Don’t forget, it already has its own software (rekordbox). Having said that, a software company that had dabbled in hardware told me recently how hard it is to do both well. NI has managed it, but if anyone else could, you’d think it’d be Pioneer. Thing you need to remember though is that Rekordbox is based on the Mixvibes engine, so either they’d be releasing the full software under license, or buying the company and releasing cross as their own product. Some really interesting speculations. And more or less all of the first 4 reasons would make sense! I LOVE the questions batted around in the article, POSSIBILITY thinking! It was a pleasure to consider these. HOORAY for technology! Good find, Trae. Tell us more! Its just my opinion but Because their worried that some one like NI will eventually push then out of the digital race, So it would make sense for Pioneer to release a turntable in an attempt to gain control of the “old Skool” market in the way that technics did. Clever tactics but IMHO I feel this is a step backwards and not forwards. Im a big fan of Pioneer but there will come a day where they will have to take a back seat to some one else. doesn’t pioneer let mixvibes make recordbox for them? could their DVS have something to do with mixvibes perhaps? As these are concept/prototypes and nothing more, I’d certainly think USB or other linking would be a distinct possibility. I have no interest in getting new Turntables but I still think this is a great idea. I’m all for more options on the market. Pioneer has/had a DJ software. It was called DJS, I know this because I used it and came with the CDJ-400’s I bought in 2008. It was difficult to learn and use. I would say it was ahead of it’s time. Pioneer/mix vibes have shown consistently over the last 5 years that they just aren’t at the level of others software wise. I’d be amazed if they embarked on another project, given they never finished rekordbox to an acceptable standard! You don’t even know the specs yet. I think its great esp. If they turn recordbox into a full dj software.Its coming so just gotta wait. I was talking to someone who sold two original technics for €2500 with a few accessories yesterday… turntables really do still command high prices. I was amazed too. Looks like he did good business. The Turntables look very nice & are probably built just as good as the old school Technics 12’s but I believe this is going in the wrong direction. 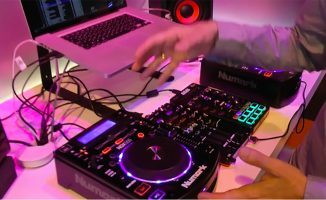 Though this isn’t a controller system, I still believe that Pioneer is trying to compete with the numark ns7II’s controller because a lot of dj’s out there prefer that moving platter feel compared to the jog platter wheel’s on the pioneer controllers and CDJ’s. If Pioneer would get off their asses and just implement a motorized platter in their controllers & CDJ’s they would put Numark to their demise. Not only that but Numark has 2 DJ turntables already. Pioneer is one HUGE corporation, I wouldn’t go as far as saying they would do something just for the sake of doing something – which would not even be the case with this turntable of course – but they’re reaching for the most varied markets and niches with their electronics. Like, they have a crankarm-instaled “power meter” for cyclists, something really out of their regular “entertainment” line. lol I just had to share it, I was dying laughinglast night! That would be fantastic! Imagine if they had fourtrack timecode cassettes for DJing in your car! 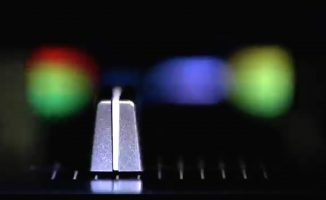 I feel that with turntables less is more, I dnt find the need for USBs or cue points and loops on the actual turntable being as to a lot of mixers can already do that so why have it on the turntable? My thing is I want that Technics “feel” I have a pair now but if Pioneer leaves it just the way it looks and makes it feel like that good ol’ Technics; I would have to purchase! I’d like to see a review of 2013/2014 issue turntables, including this one and the Reloop. I’d also like to see a comparison to a benchmark hi-fi turntable in the same price range to see how DJ turntables perform audio wise when compared to this bench mark. Oh please… it’s just a turntable!!! Without any new ideas. Zzzzzzzz. 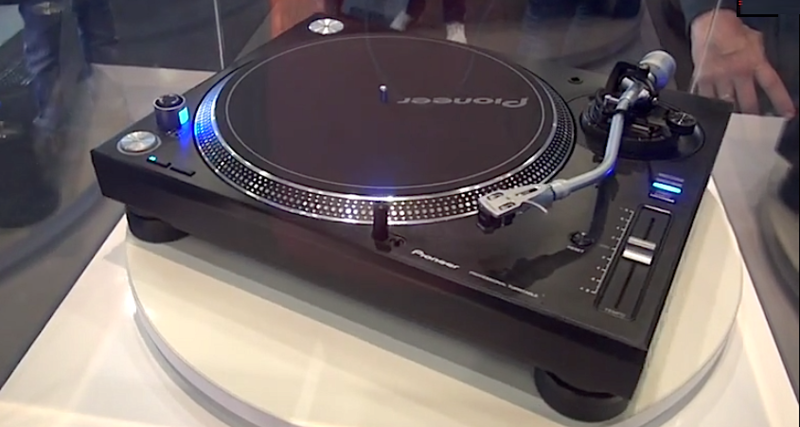 What about the Reloop RP-8000 – an advanced hybrid turntable with midi! …Pioneer is top of the food chain in DJ equipment for a reason. I have a feeling this turntable will blow away any of its contenders, including ReLoops and the Stanton. Time will tell. …to answer the question why? I think this turntable appears to be something that turntablists and scratch maniacs will snap up quick. 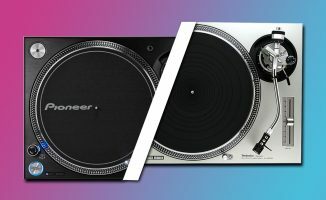 Pioneer makes top notch equipment and most clubs worth their salt use Pioneer gear almost exclusively, so it makes perfect sense that the maker of top notch DJ gear would make a top notch turntable. I don’t really see it as a money grab as much as Pioneer wanting to be king of the turntable market – since no one else really is… yet.